The Food and Drug Administration (FDA) has given its approval for a genetically engineered animal intended to be raised as food. The genetically modified organism (GMO) in question is the AquAdvantage Salmon, which was designed by AquaBounty Technologies to grow quickly and reach marketable size in a shorter period. The FDA performed a comprehensive review of the AquAdvantage Salmon and assessed whether the basic claim (that it grew faster) was true, whether the genetic changes posed a risk to either the salmon or to humans, whether nutritional value was affected, and whether the salmon had enough relevant biological differences to require additional labeling. It found that the AquAdvantage Salmon indeed grew faster, had the same nutritional value as non-GMO salmon, and was not biologically different enough to warrant mandatory labeling. As a precautionary measure, the FDA’s approval only permits the AquAdvantage Salmon to be raised in two land-based facilities located in Canada and Panama—the salmon cannot be bred or raised within the U.S. Additionally, the facilities are required to have multiple levels of monitoring and containment to prevent the fish or their eggs from escaping into the environment. These facilities will be subject to inspection by the FDA and the Canadian and Panamanian governments to ensure compliance and effectiveness of the measures. The GMO salmon is also sterile as a last line of defense against escapees. 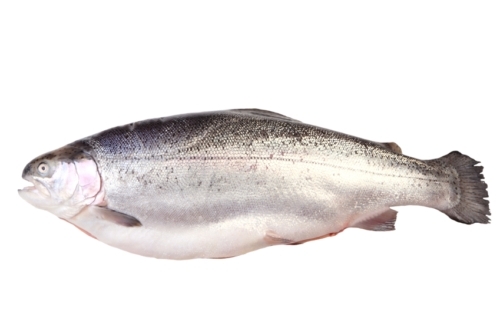 AquAdvantage Salmon are created by taking the growth gene of a Pacific Chinook salmon and material from an ocean pout to make recombinant DNA that is then injected into salmon eggs. The result is a faster-maturing salmon that can continue to grow at all times of the year. As current rates of salmon consumption are at risk of outpacing available supply, the potential for a faster growing breed has a large appeal to businesses. Critics of GMO foods take issue with the lack of mandatory product labeling which would identify AquAdvantage Salmon as genetically modified and any derivative foods as having engineered components. Although the FDA has issued draft guidelines for voluntary labeling, consumer rights groups such as Food and Water Watch believe non-mandatory labels prevent customers from properly knowing how their food is made. It is highly probable that one or more anti-GMO groups will be launching a legal action to try and block the AquAdvantage Salmon from entering American markets. There is no set date for when consumers could expect to see GMO salmon in stores or restaurants. AquaBounty has said that it is still exploring different commercialization options and has not settled on a path of action. Goldschmidt, D., “Genetically Engineered ‘Frankenfish’ Wins FDA Approval,” CNN web site, November 19, 2015; http://www.cnn.com/2015/11/19/health/genetically-engineered-salmon/index.html.